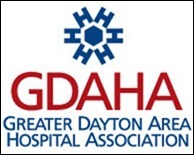 To implement this electronic network between healthcare providers, GDAHIN partnered with HealthBridge to create one of the largest health information exchanges in the country. The collaboration connects more than 50 hospitals and 7,500 physicians in Dayton, Springfield, Cincinnati, Eastern Indiana, and Northern Kentucky. The Office of the National Coordinator has information regarding national health information technology (HIT) initiatives. Our partner, HealthBridge is one of the largest, most advanced and financially successful health information exchange organizations in the United States. The Ohio Health Information Partnership works closely with our Regional Extension Center and provides physicians with the tools and resources to achieve meaningful use of electronic medical records (EMR). This office allows you to check EMR certification status online. The American Health Information Management Association (AHIMA) is a health information management professional association with more than 60,000 members. Since it was founded in 1928, AHIMA has remained committed to quality healthcare through quality information. The Ohio Health Information Management Association (OHIMA) has more than 2,200 members dedicated to the effective management of personal health information. OHIMA is committed to advancing the health information management profession in an increasingly electronic and global environment through leadership in education, advocacy, and lifelong learning.